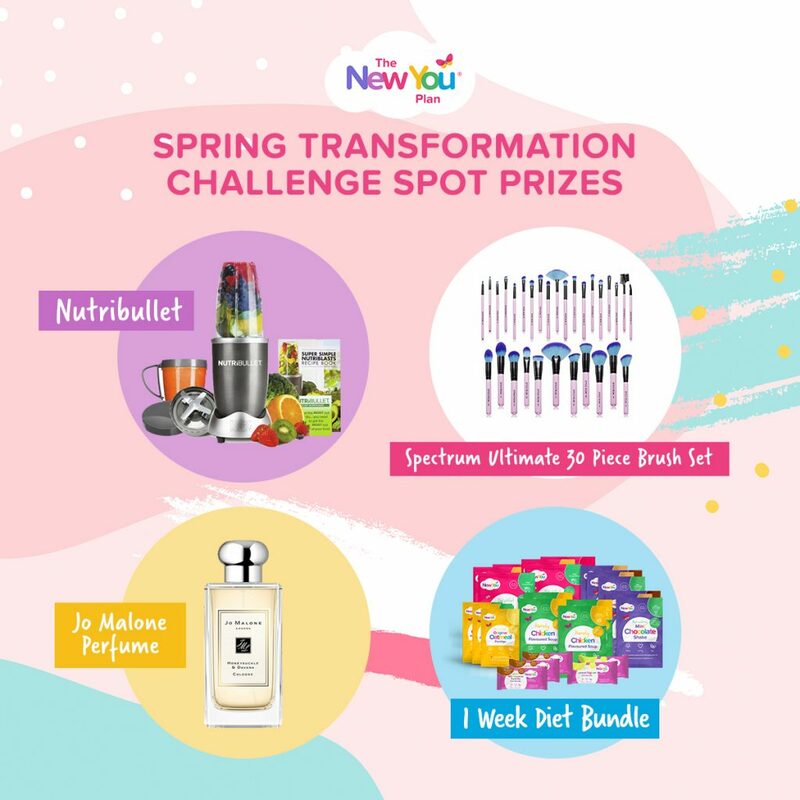 We had such a great response to this week’s Spring Transformation Challenge task. A new task is announced every Monday and the winner is shared on Friday. This means that you have 4 days to share your answer. Not only will you have the chance to win an amazing prize, but by getting involved you are making yourself accountable and inspiring others with your answer. This week’s task was all about falling in love with the process. 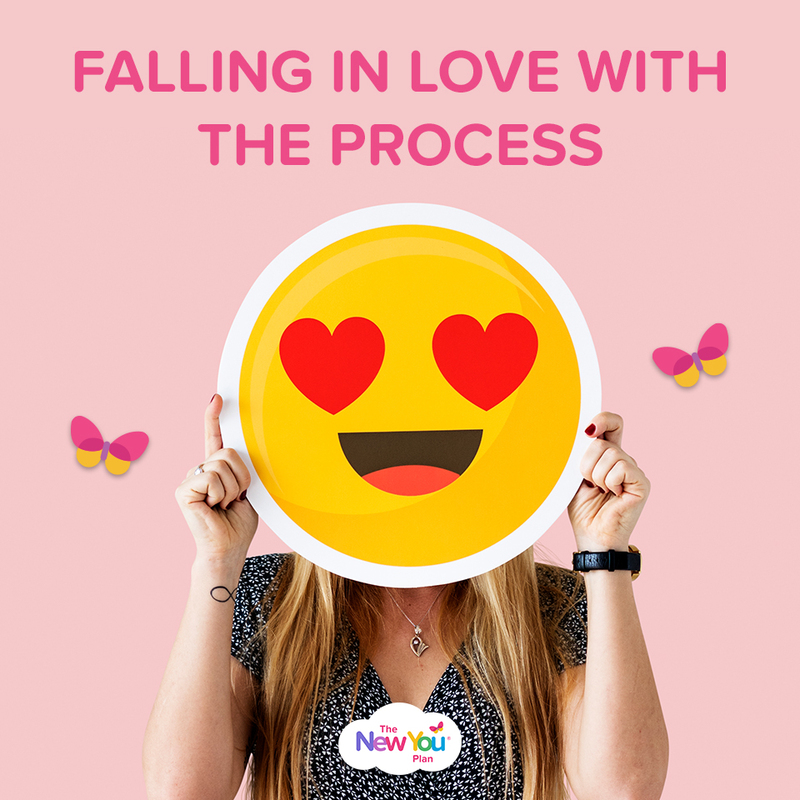 In order to be successful on your New You journey, you have to WANT to change in order to LOVE the process. If this is something you’re struggling with, this blog post is a GREAT place to start, we promise! With this in mind, customers were asked to share 10 things they LOVE about Total Food Replacement (TFR) and The New You Plan. 1. I LOVE the fact that no matter what, whatever you have to loose, wherever you are at in your life you can start this plan and feel alive from the moment you commit! 2. I LOVE that we have each other’s support… friends made every moment through our secret slimmers family- there’s no good or bad time… we are all in it together and I for one know how much I’ve been saved by being part of this wonderful family… reading about everyone’s achievements, failures, up and down rollercoaster rides the courage that people have shown us all so inspirational!! 3. I LOVE that even though I was told that I would never have any more children after my little girl was born.. this plan gave me the HOPE… the desire to bring myself to become healthy and fit again to have the beautiful children I have today!! If you believe you can achieve with becoming a NEW YOU! 5. I LOVE that the plan makes u really believe in yourself…. that you can achieve anything you want… that you are worth it and most of all… that you will succeed and the sky’s the limit! 6. I LOVE that the plan makes you the architect of your own destiny… it empowers you to choose your own attitude towards life… for me it was being in a very dark place to feeling alive again for my family.. for my husband… for my 5 children… who look up to me and need me as much as I need them! For that alone I can’t thank you enough! 7. I LOVE the NEW YOU TEAM… the people who make all of this possible, from a few years ago until this very day…the support the love has been unconditional and that’s why and how there are so many of us and the family just grows by the day… every single person under the New You Umbrella… make it what it is! Thank you to every single one for making me feel special and making all this possible – all down to your hard work and kindness. 9. I LOVE that you ‘wake up with determination and go to bed with satisfaction’ so easily because you start seeing the results instantaneously – not just through your body changes but through your mind… through others…and this thrives you on even more! 10. Finally last but not least… I LOVE that this plan has made me believe in myself, has given me a new life, has made me realise I am worth it and should always be proud! A MASSIVE well done to Ushma for an amazing entry! Ushma gets to choose her prize from one of the following: Nutibullet, Spectrum Make-Up Brushes, Jo Malone Perfume or a 1 Week Bundle!